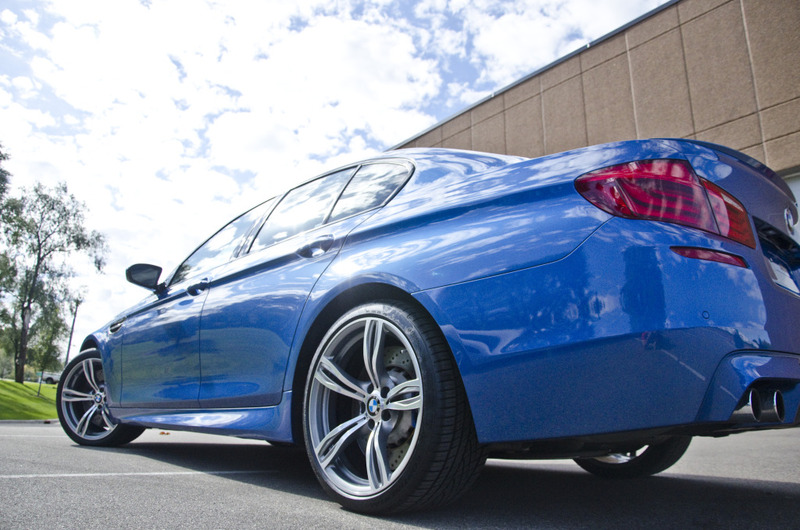 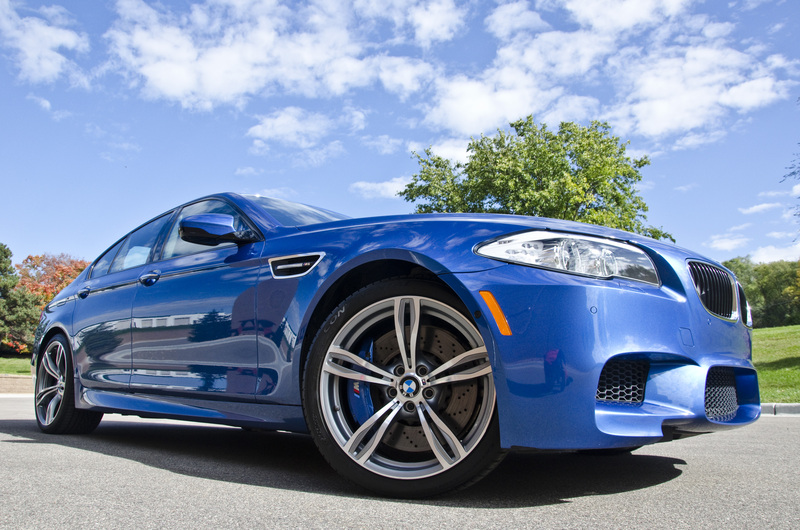 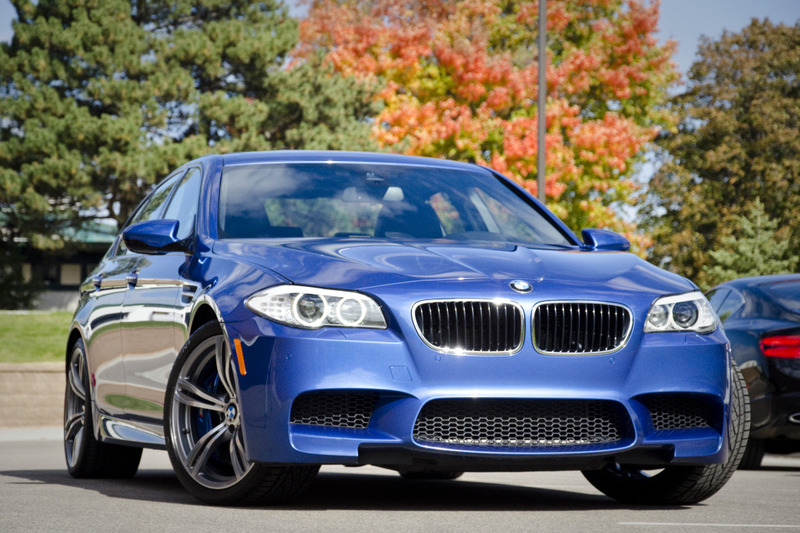 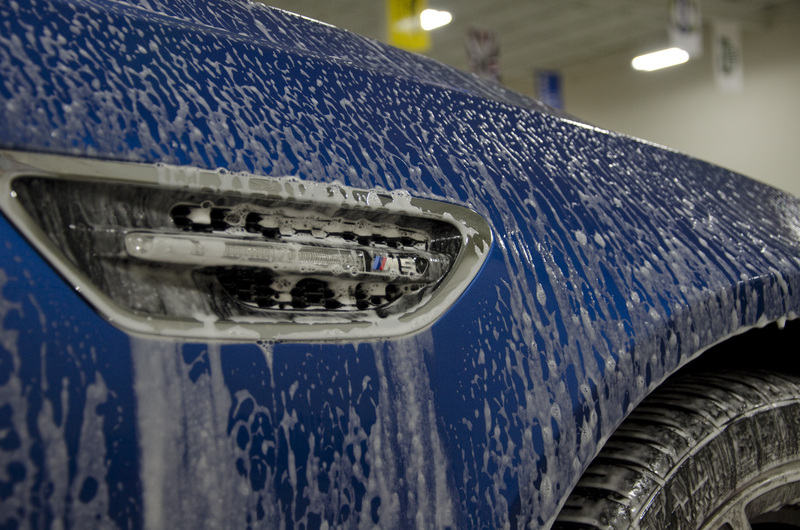 This gorgeous Monaco Blue BMW M5 came to our Minneapolis location covered in water etching due to hard water. 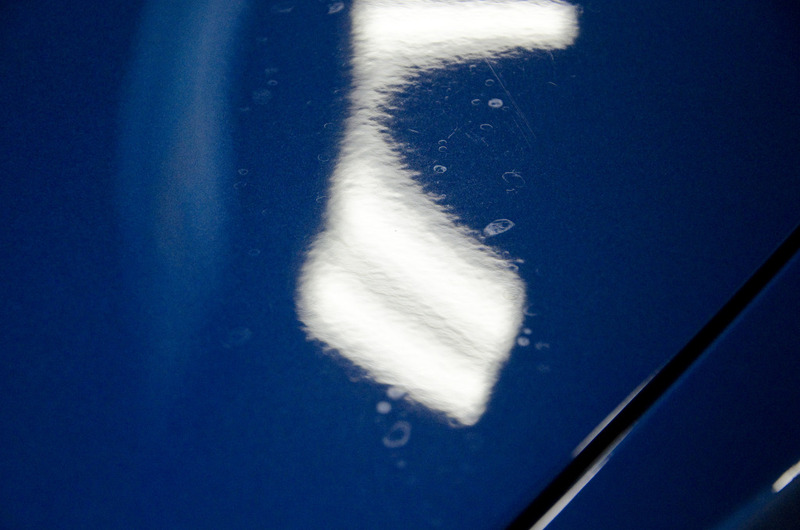 In some cases, water stains actually penetrate the paint to leave permanent water spots. 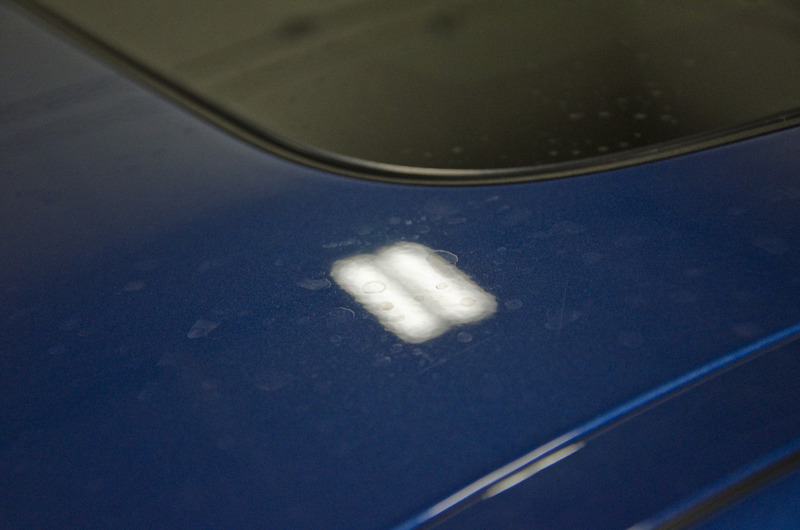 These require paint correction to fully remove. 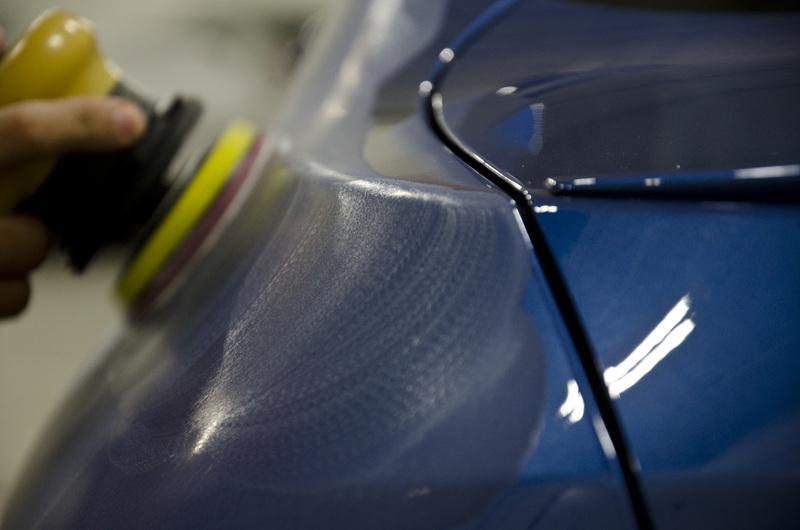 We started with a thorough decontamination wash to remove sintered iron debris. 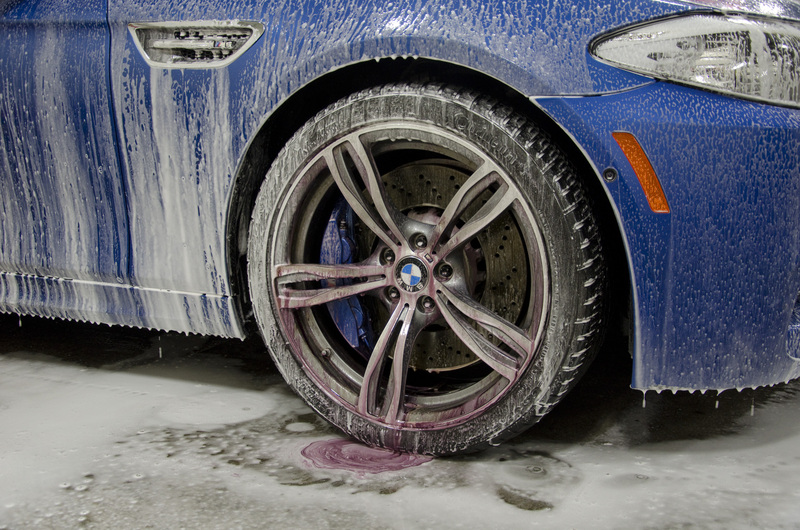 The purple color shows where the cleaning agent is dissolving brake dust. 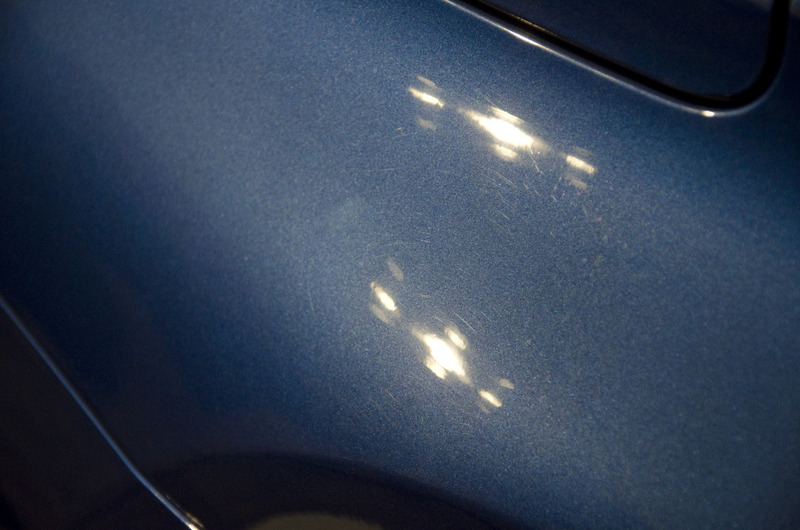 Even after the wash, there was still a rough texture remaining on the paint. 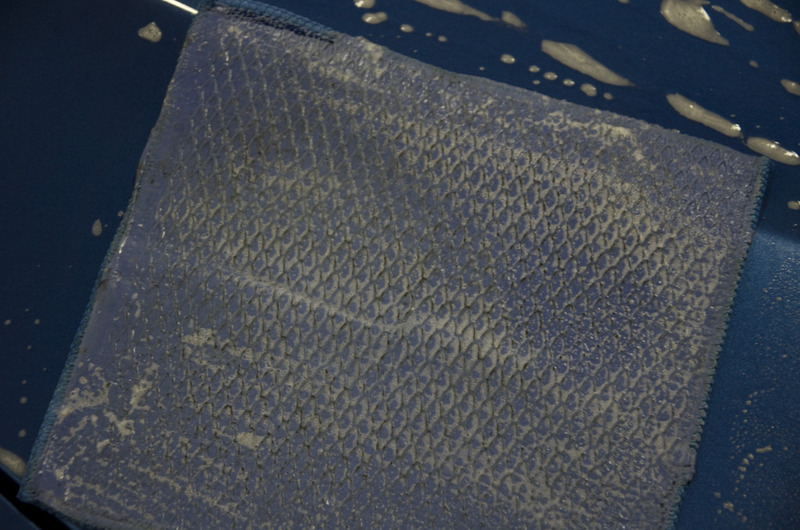 A clay towel removed the remainder of the embedded contaminants. 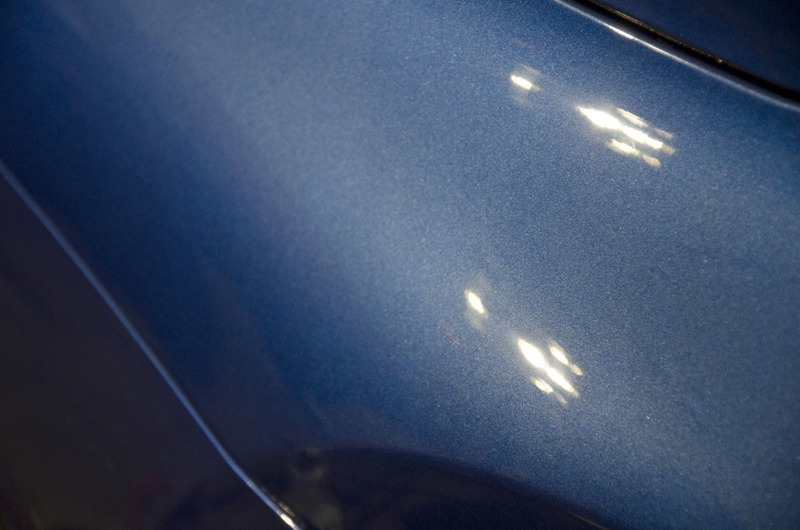 The dark residue on the blue clay towel was all that was embedded on a section of the fender. 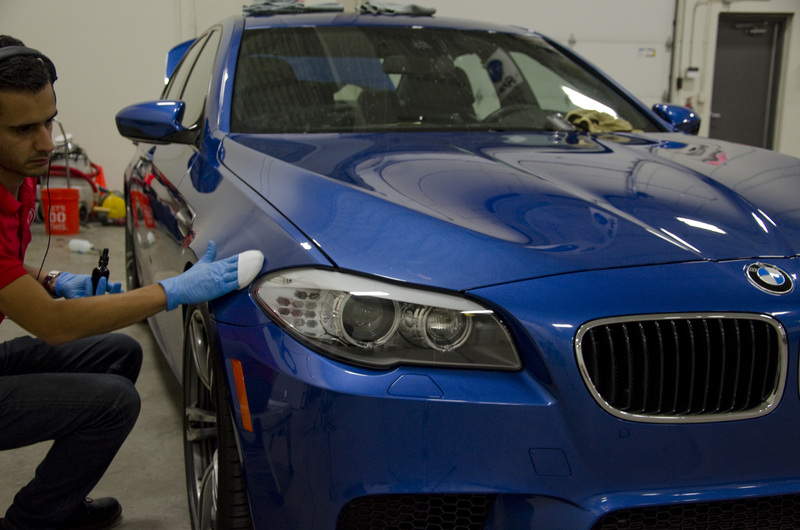 We started with a more coarse compound step to cut through the BMW’s hard paint. 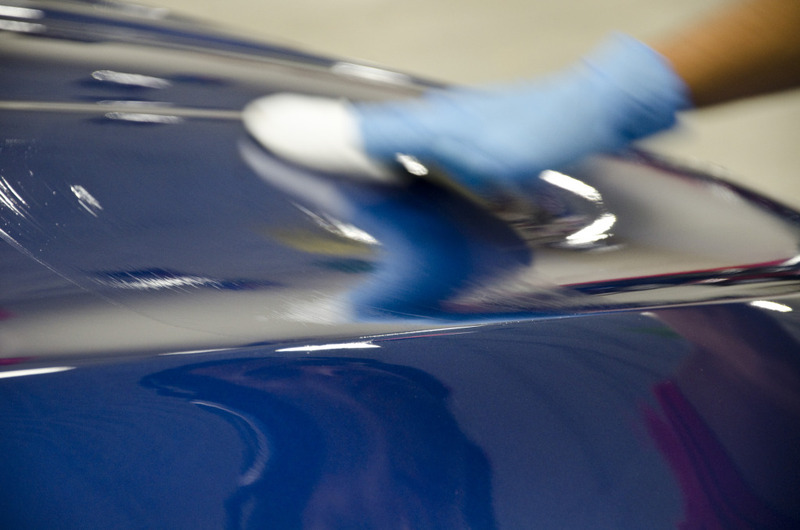 On very soft paint, we usually do not need to resort to heavy compounds, but this car enjoyed very hard clear coat. 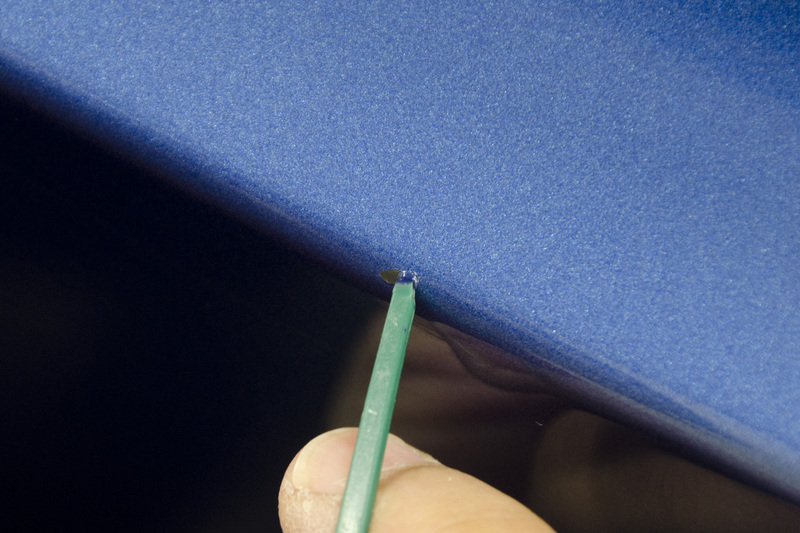 This is a major plus as it doesn’t scratch as easily, it just takes a bit more work to correct. 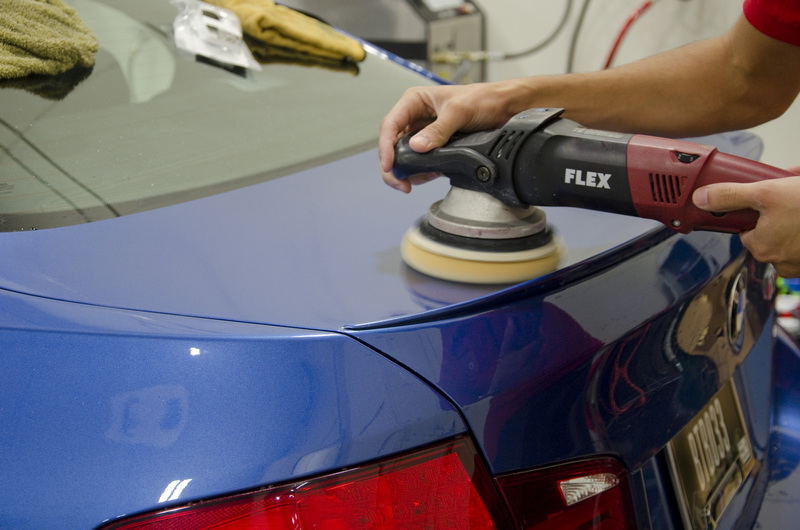 The F10’s concave surfaces required an assortment of smaller polishers to conform to the surfaces. 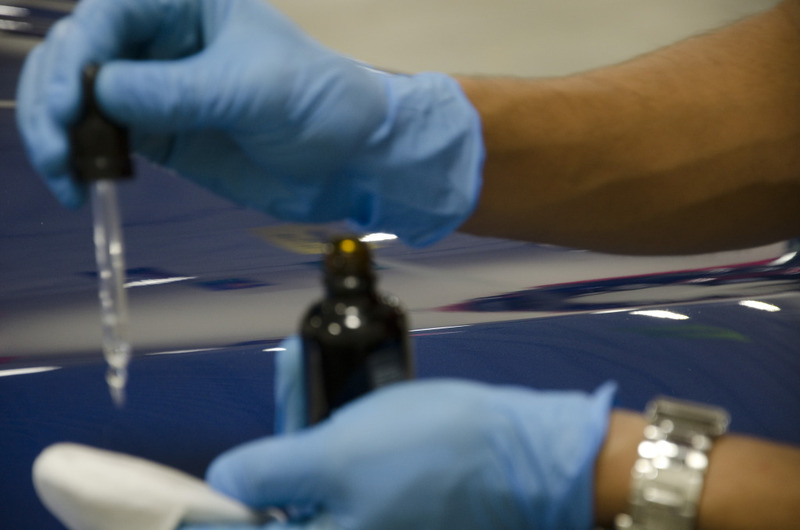 Following the compounding step. 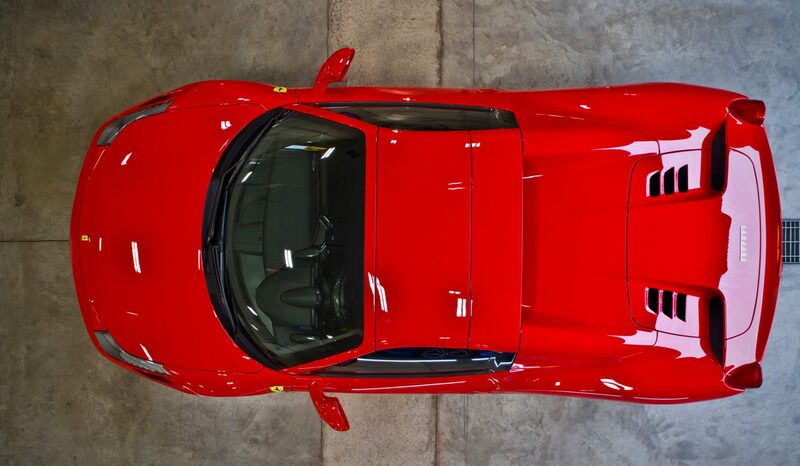 we finished down the paint with a fine polish to remove any compounding marks and boost gloss. 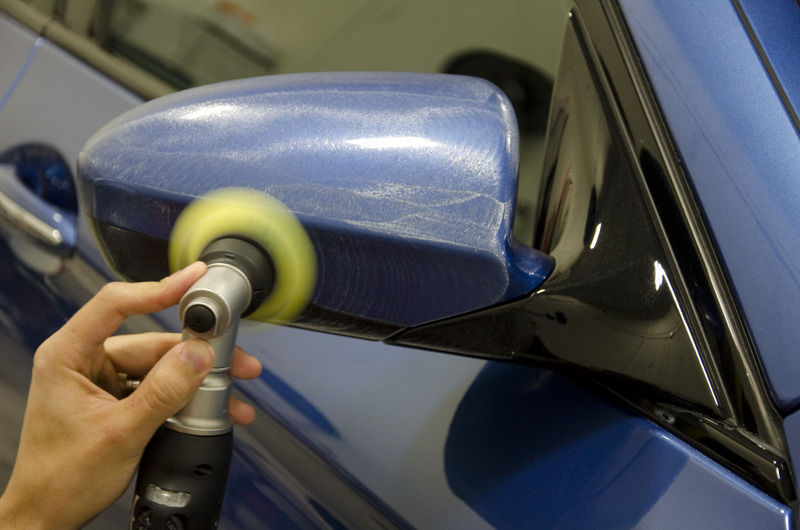 Using a custom cut-to-size Starbuck coffee cup stopper, we applied some touch up paint around the car prior to coating. 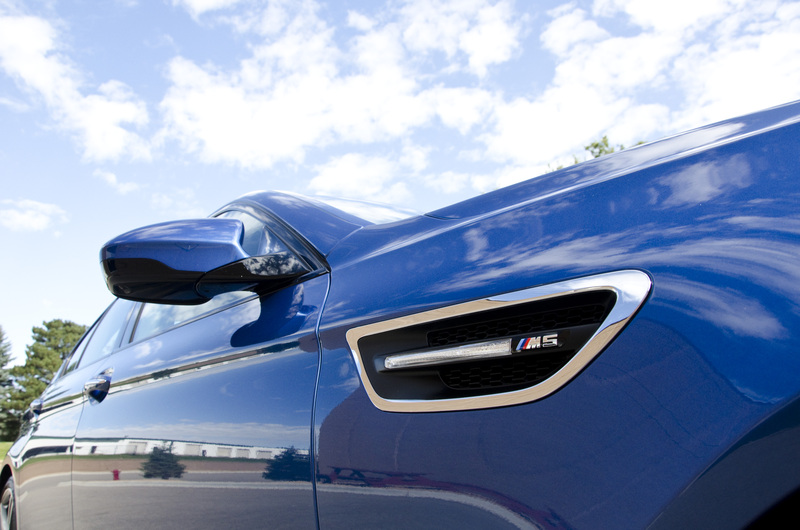 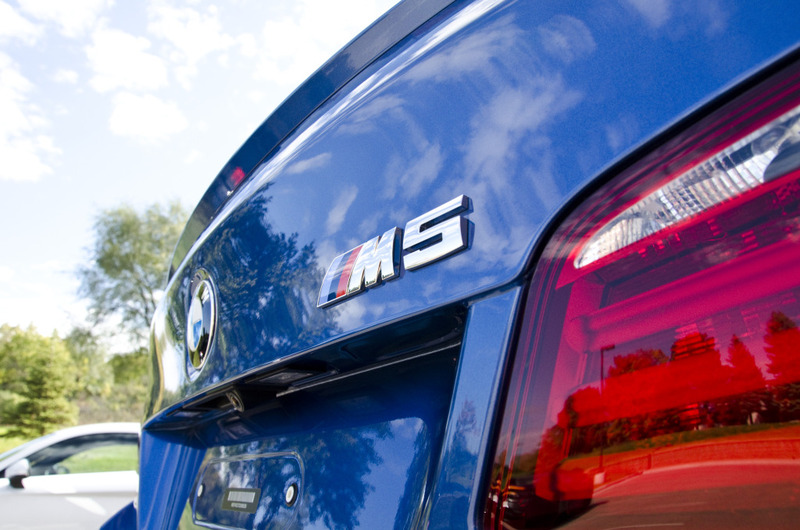 The M5 got enveloped in Gtechniq Crystal Serum, a tough and very hydrophobic ceramic coating. 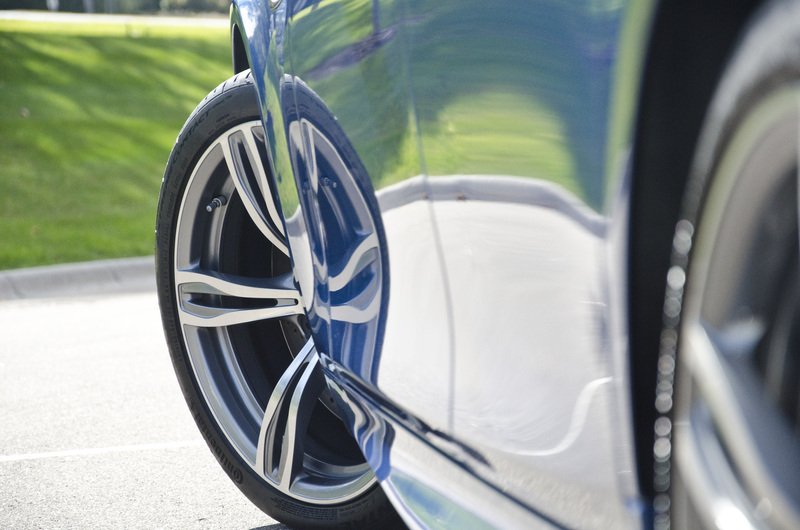 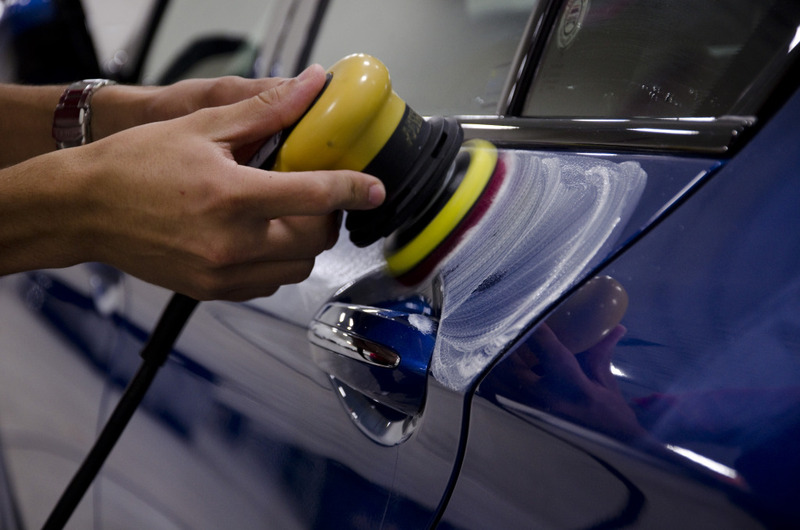 Besides improving gloss, the new ceramic top coat will repel water and dirt to make washing much easier and provide durable protection against chemical etching such as bird poo. 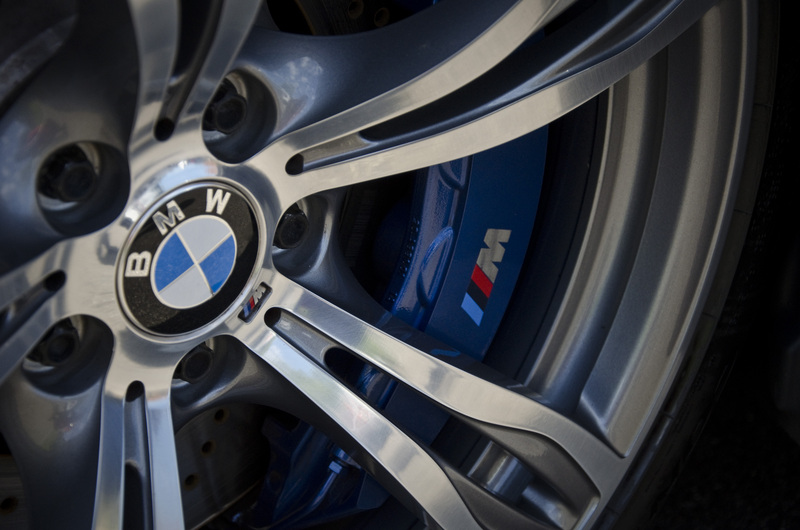 The wheels too were removed, thoroughly cleaned and also coated to help clean up brake dust with much less effort.